We are about PEOPLE, their PRIORITIES, and their FUTURES. 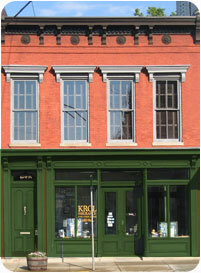 Krol Insurance is an independent insurance agency which means that we work for you. Our independence allows for us to search our many companies to match the best products to fit your current and future needs. 1. Attorney – to complete legal papers – Wills, Durable Power of Attorney, etc. 2. CPA – to figure the best tax angles. 3. Preacher – to attend to our spiritual needs. 4. Insurance Advisor – to PAY the other three. 46 years has taught us to listen, imagine, and build futures and programs, one client at a time.